Built into every fuel transfer pump, chemical transfer pump and meter is over 50 years of experience—and the pride and workmanship associated with the moniker Made in USA. We use only the most durable materials to insure long life and dependability. Fill-Rite and Sotera branded products deliver superior performance time and time again, regardless of the application or installation. This industry standard DC pump dispenses up to 15 GPM (57 GPM). 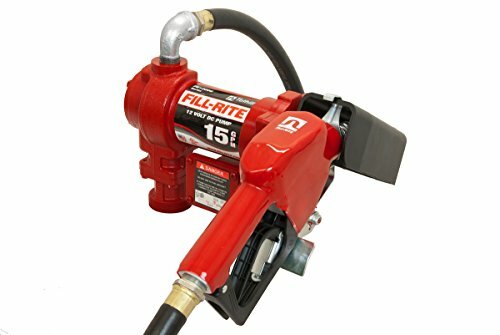 This is ideal for pumping gas, diesel fuel and kerosene. With an amp draw that's easy on your DC power source. Explosion-proof UL/CUL listed 1/4 horsepower motor. This comes complete with 12 ft. static wire hose and automatic nozzle.